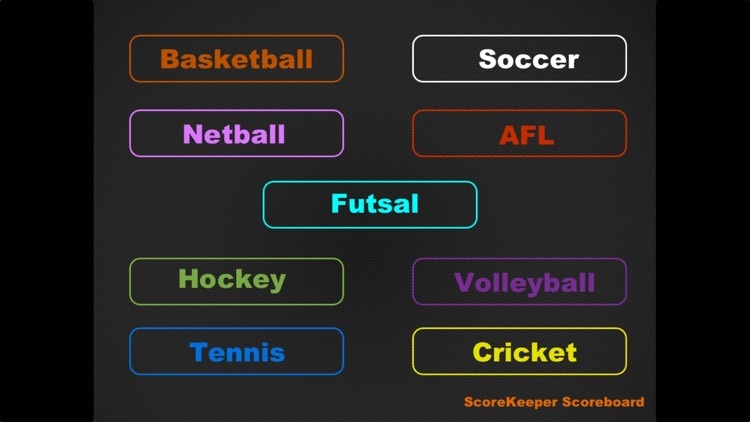 ScoreKeeper ScoreBoard - the Ultimate Scoreboard app! 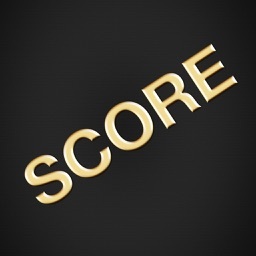 The only App in the App Store that gives you Eight Scoreboards in one app, with more being added all the time! At the game, no Scoreboard - use ScoreKeeper Scoreboard. 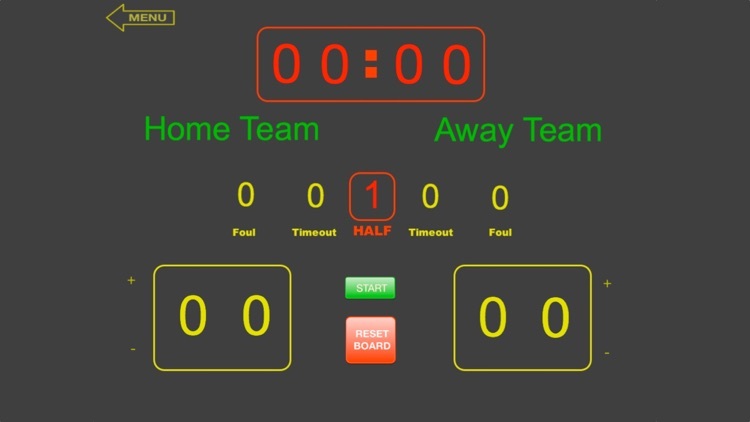 Keep track of scores, fouls, timeouts, points, goals, corners all from your iPad. Small club, can't afford a big digital scoreboard? Use airplay to display the app on a flat screen. Easy to use interface, big numbers and high contrast display. * To set the time, touch the minutes and seconds to set the desired period time. * Touch the start button to start the timer counting down. * Touch the Pause button to pause the timer. * Touch the Timeout, fouls, periods to reduce by 1 if a mistake has been made. 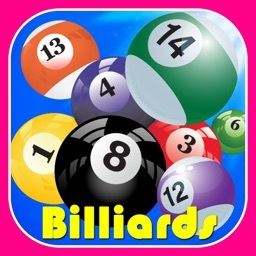 * Reset Board button to clear all numbers and start a new game. 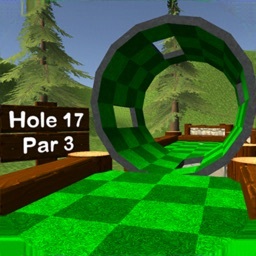 Other sports will be added soon. 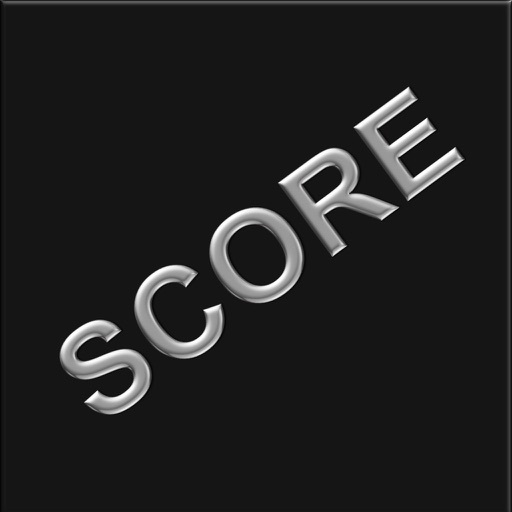 ScoreKeeper ScoreBoard - all your scoring needs in 1 app. 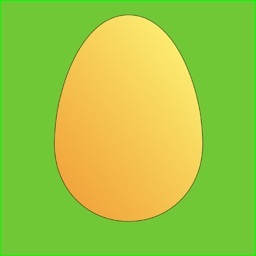 - tap the team name field to enter the name sod the playing teams. 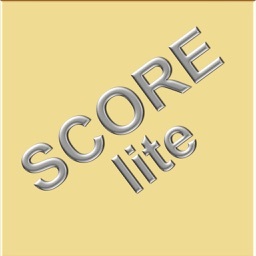 - tap the + or - to increase/decrease the score for each team. - tap the Reset button to reset the scoreboard.